How to be socially successful. Do you ever idolize someone that seems to have it all? Beauty, health, husband, kids, career, house, pets, friends and more? I know I have! It would be easy to be jealous of these women, if I wasn’t aware enough to realise that with a little more effort and motivation I could have more success in some of these areas too! A dear friend recently confessed to me that she had been feeling lonely in her life, and she was so envious of the amount of time I spend with my friends. Laughing it off somewhat I replied that it was only because I was too lazy to work on my home as much as she does. During the course of the conversation it became clear that we were each envious of something about the other person, not because we weren’t capable of having the things we want, but because we weren’t working towards having them. I could go into the state of my home, but let’s just say that it is a stereotypical writers space, as disorganized as my thoughts! I did spend a whole Sunday afetnoon organizing and cleaning a specific area in the house, however you wouldn’t know it now, as my motivation to keep it that way is lower than my desire for it to stay that way. What I do want to talk about is my friend putting more effort into her friendships! My friend has one friend she considered a best friend. She has other friendships, however they seemed to operate more like acquaintances than actual friendships. My friend was feeling a bit down and lost, because her “bestie” was not really available for friendship at this time in her life. 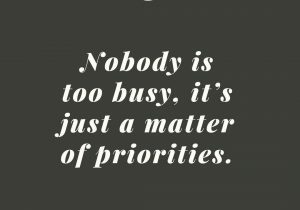 What I mean by that, is that she didn’t appear to be making my friend a priority. Always “busy” with work and family commitments, she wasn’t spending any quality time with my friend. Although they often talked daily, it seemed my friend never really knew anything about her “besties” life or anything that mattered. Their connection seemed to be dwindling. My friend tried to talk about this with her “bestie” but somehow it always seemed accusatory and often ended in an argument. Her “bestie” would become defensive and list all the other things she has to worry about and do, and nothing would be resolved. This left my friend feeling anxious, pining for time and connection from her “bestie,” needy, even. My friend would overthink the situation and could not fathom the idea that this was not personal. It felt like a rejection. In talking it over with me, she was able to articulate that her “bestie” was no longer able or willing to meet her friendship needs, and she didn’t know how to make her “show up” for their friendship more. Over and over again, she would come to the same conclusion “I just have to try and enjoy it for what it is, and forget about what it isn’t.” Alas, no matter how many times she tried, it was hard to ignore what it wasn’t. I put it to her that it may be because she still had an unmet friendship need. This was a light bulb moment for my friend. “You’re absolutely right!” she exclaimed, surprised by this revelation. She finally came to a different conclusion, that would ultimately help her come to peace with the situation with “bestie.” She needed to invest more time and energy into different friends. Friends that could potentially meet her need. Almost immediately, she set up a few lunch dates with different people, to test the friendship waters, and see if any of them would grow! Well guess what? Some of them really took off. She now enjoys a weekly catch up with one of them, and it has changed her life and her perspective, significantly. She no longer over thinks things with “bestie” and is actually capable of accepting and enjoying it for what it is. What it isn’t no longer bothers her as much, because her friendship needs are still being met. Interestingly, my friends “bestie” has now started showing signs of jealousy. She has made snide comments about my friend having “a new best friend” and “forgetting” about her. 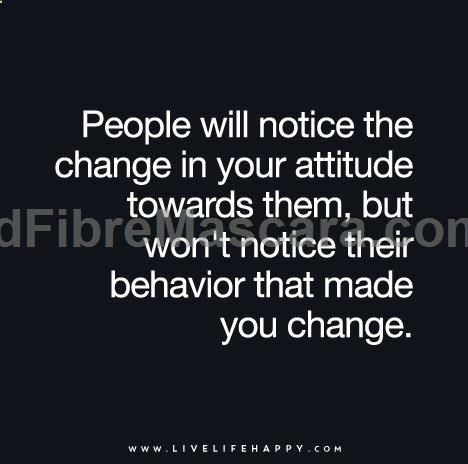 It’s interesting how we can always sense someone’s change in attitude towards us, but sometimes can’t acknowledge our own behaviour that made them change! “Bestie” doesn’t make friendships in her life a priority, the same way I don’t make housework a priority in mine. I can have a dazzling home if I really want it, but not if I don’t make a plan and work towards achieving that goal. The trick to being socially successful, is making friendships a priority and giving them the same time and attention you give to the more successful aspects of your life. “Bestie” likes to claim that she is an awesome friend because my friend can call upon her anytime of the day or night. The kind of friend you can call in a crisis, even if you haven’t spoken in years. The kind who takes off straight away wherever you left it last time, regardless of how long it has been. 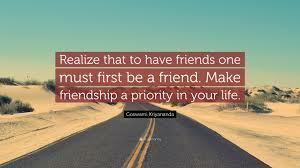 (My experience of friends who say this, is that they value the low maintenance quality of our friendship, which translates to “I’m glad I don’t have to put in much time or effort.”) This may very well be true, however my friend didn’t just want someone who shows up in a crisis. She wants someone who shows up anyway. That’s not to say she wont call “bestie” in a crisis. Perhaps she still would. Essentially their friendship hasn’t changed, except my friend no longer has unrealistic expectations that “bestie” will suddenly change and meet her other needs. If “bestie” wants the same level of connection my friend now shares with her new friend, she will have to make time for it. Well, I guess that means I wont be getting thin by eating cupcakes either? Darn! Haha As a good friend of mine likes to say “If wishes were fishes….” Then she spouts about making wishes come true by setting a plan and sticking to it. She might be onto something there!! PS Social success is a personal measure. If you are happy with your social situation, I’d say you are successful! Newer PostTake 2…. Talking it over after the fight? Older PostShe loves me, she loves me not…..